The new fountain turned out to be defective. It had holes in various areas that allowed water to drain through to the hollow center and continue down to the ground. At first I thought it may be that the pump is too strong because it would periodically splash a lot of water out of the fountain. 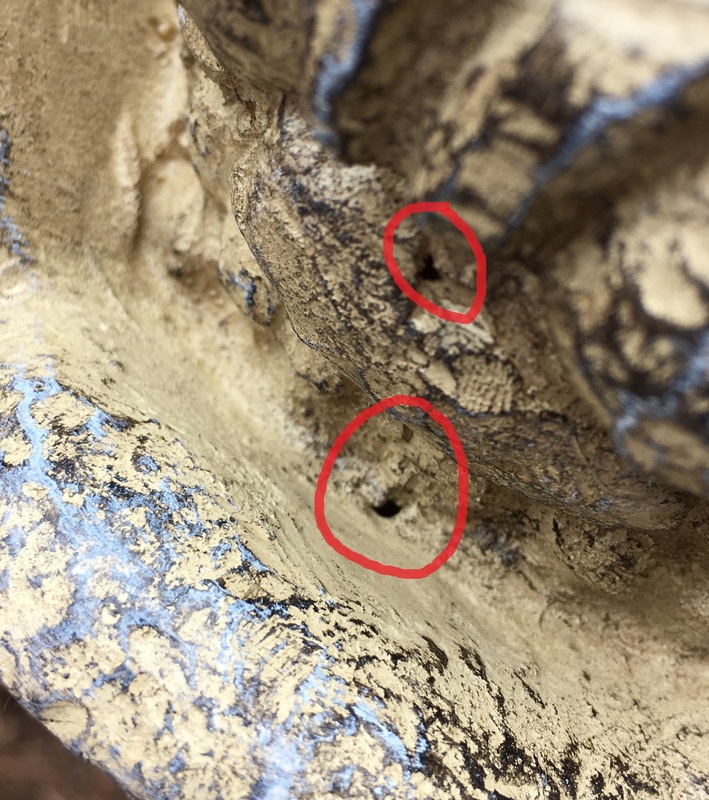 These small holes are located at the top near where water comes from the pump. This hole is where the water pours out from one bowl to the next. 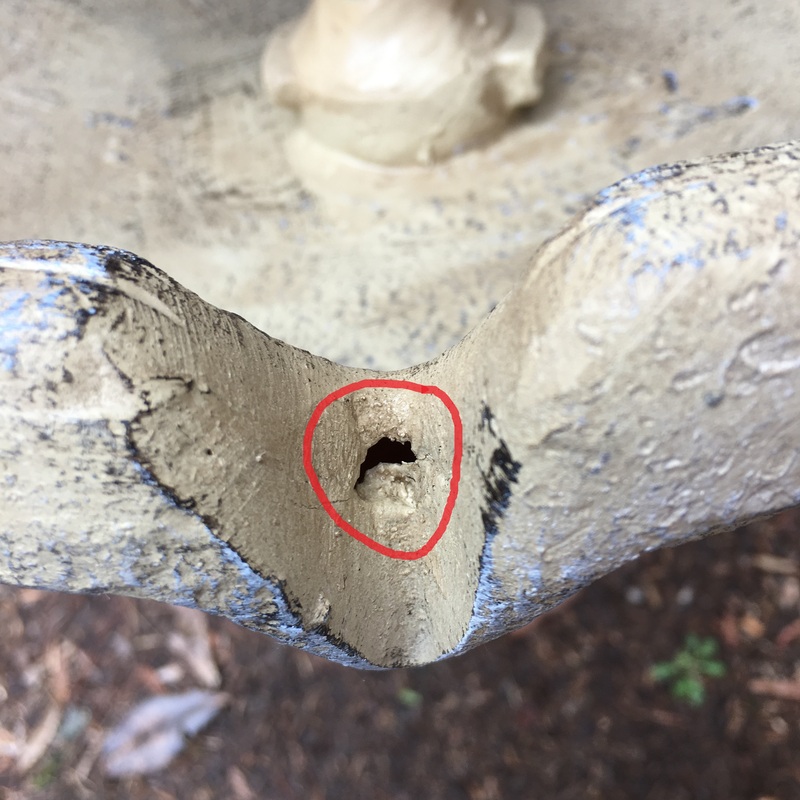 A was able to fill these holes with silicone, which isn’t noticeable and the fountain appears to be retaining water a lot longer than before, but I still think it may be leaking somewhere. I posted a review of the fountain online where I purchased it and the company apologized and offered me 15% refund if I planned on keeping it. I honestly did not want to dismantle it, pack it and ship it back mainly because of the hassle so I accepted it. Overall I am pleased with the fountain. It’s attractive and adds movement and the sounds of water throughout the garden and as I hoped, the birds have discovered it and have been frolicking in the water. In other news, it appears the garden will be spared destruction. Hurricane Matthew is now forecast to move out to sea and avoid North Carolina all together. This is due to the fact I purchased plenty of supplies.